Sydney and Melbourne Psychologists - be. 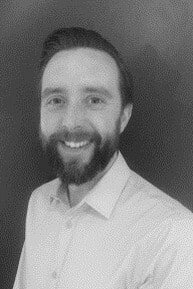 Ryan is a clinical psychologist with extensive experience in working with adults and young people. He has worked in private practice for a number of years, and his experience also spans both the adult and youth public mental health sectors. Ryan is passionate about mental health. He has a wealth of experience in assisting people with a broad range of issues such as depression, anxiety and related difficulties (e.g. social anxiety, phobias and obsessive-compulsive disorders), adjustment issues, relationship issues and more. Ryan works with his clients in a warm and empathic way. His approach draws on a range of psychotherapeutic frameworks including cognitive-behavioural therapy (CBT), acceptance and commitment therapy (ACT) and other mindfulness-based therapies, psychodynamic psychotherapy, and existential psychotherapy, theory and philosophy. Ryan says "In my clinical work, my guiding philosophy is that therapy should be both personalised and evidence-based, and underscored by a strong rapport. I strive to ensure that the experience of therapy is one in which clients feel supported, heard, and understood. I draw on a number of different psychotherapeutic approaches to help my clients achieve their therapy goals." 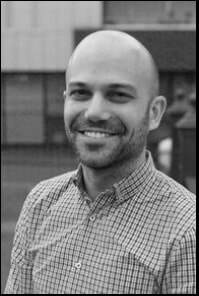 Ryan is also affiliated with Swinburne University as an honorary researcher, and is on the board of directors of the Australian Clinical Psychology Association (ACPA). More information about Ryan's research is available here. David is a registered clinical psychologist with experience in the treatment of a range of difficulties such as anxiety disorders (social anxiety, panic attacks, excessive worrying, phobias), depression, sleep disorders, post-traumatic stress disorder, obsessive-compulsive disorders, management of psychotic and bipolar disorders, personality disorders, relationship difficulties, grief and loss, adjustment to major life changes, and coping with stressful life experiences. He has worked across various settings, including hospitals, outpatient clinics, universities, community mental health services, and youth specialist clinics. ​David is trained in, and uses, evidence-based therapies such as cognitive-behavioural therapy (CBT), acceptance and commitment therapy (ACT), and exposure and response prevention therapy, to help people overcome adversity and create lasting change. One of David’s particular interests is existential psychotherapy/counselling. The aim of this approach, in addition to coping with difficulties, is to help people explore, reflect on, and live more closely in line with their values and personal sense of meaning. Common existential issues include a perceived lack of purpose and meaning, feeling stuck or trapped in life circumstances, feelings of isolation and aloneness, and fear of death (death anxiety). David is an active researcher in the areas of autobiographical memory and mental health, and treatments for depression. Further information on his research can be found here. 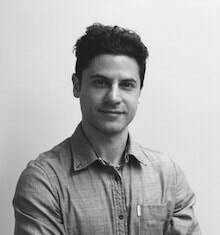 Isaac is a clinical psychologist with experience in both private practice and public health. As well as working at be psychology & mental health, he also works in a hospital speciality clinic for treatment of PTSD. Isaac's previous clinical appointments have included public mental health, sub-acute medicine, primary care, and youth mental health services.